Last update on Dec. 23, 2018 . You can now change your username, a little. We're doing significant updates to our software stack this week so if you see any strange behavior please let us know. 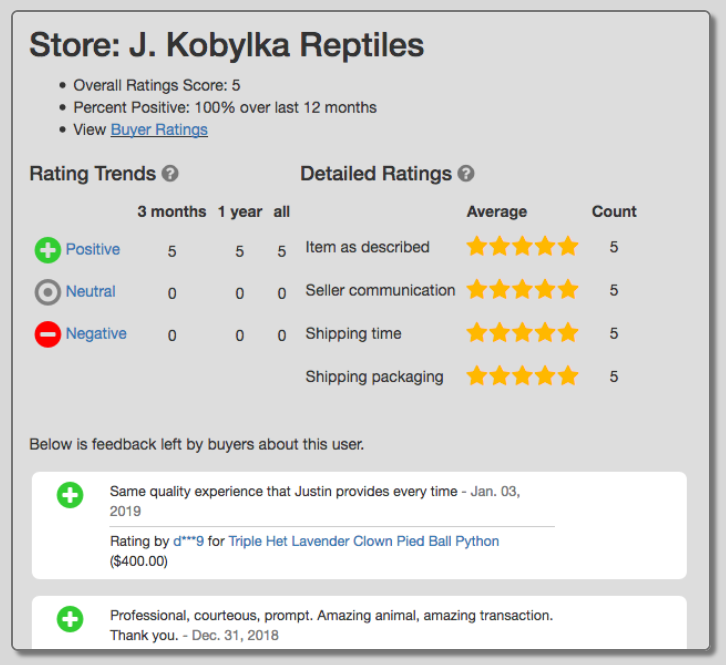 It's been 3 years since we launched MorphMarket with Ball Pythons only, and Turtles and Tortoises have just joined the party. Last update on July 10, 2018 . We periodically send a newsletter to all our active sellers and members. Here's the Summer 2018 Updates. One year ago this month, MorphMarket launched memberships as a way for sellers to support the site and obtain access to various levels of features. Without these members' participation, we could not grow and improve the site, nor would it be available at all. We are grateful for all members and especially those who have supported us continuously since the beginning. To express our appreciation, we will now recognize all sellers who have and continue to maintain membership since 2017 with as "Founding Members". This badge is displayed on a member's Store page. We plan to create more badges and ways of recognizing outstanding sellers and buyers in the future. Speaking of that, right now we are hard at work building the most requested feature on our site ever -- a two-way review system! Last update on May 14, 2018 . In this blog we share some behind-the-scenes activity to let you know what we've been up to in improving the site. Last update on May 4, 2018 . We've just added new features to improve international commerce. 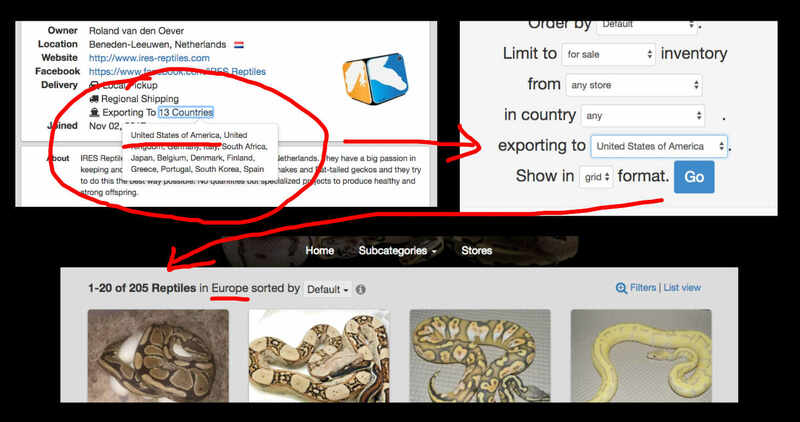 Sellers can now specify in their Seller Profile which countries they export to so buyers from those countries can locate them.